MOSCOW, the Russian Federation (BulgarianMilitary.com) – Many publications, some of them western, claim that during the Cold War between the East and the West, both sides had excellent weapons for defence. Some of them state that the Russian bomber Tu-223M3M was one of those weapons to which the West had paid more attention because of its capabilities and characteristics. BulgarianMilitary.com has learned that, according to the U.S. online daily news service USNI News, specializing in news and naval analyzes, the improved version of the bomber has achieved greater capabilities in almost all areas of its category. The portal calls the modernization of the Tu-22M3 impressive. The publication considers as a key point the fact that the bomber is equipped not only with Kh-101 air-to-surface cruise missiles or the modernized Kh-555 cruise missiles, but also with long-range hypersonic missiles designed to destroy ground and naval targets. According to the U.S. edition, this fact is extremely important because at present, the U.S. does not really have protection against hypersonic cruise missiles. It is about the N-47M2 missile, known more in the media and society as the “Kinzhal”, which can be launched even from MiG-31 and can fly more than 2,000 km. According to UNSI News, if this missile is launched from a Tu-223M3M bomber, it will have a sufficiently long range to prevent the U.S. Navy to build effective defence. Another missile that according to the USNI News is “invulnerable” and can be integrated into the bomber is the Kh-32. 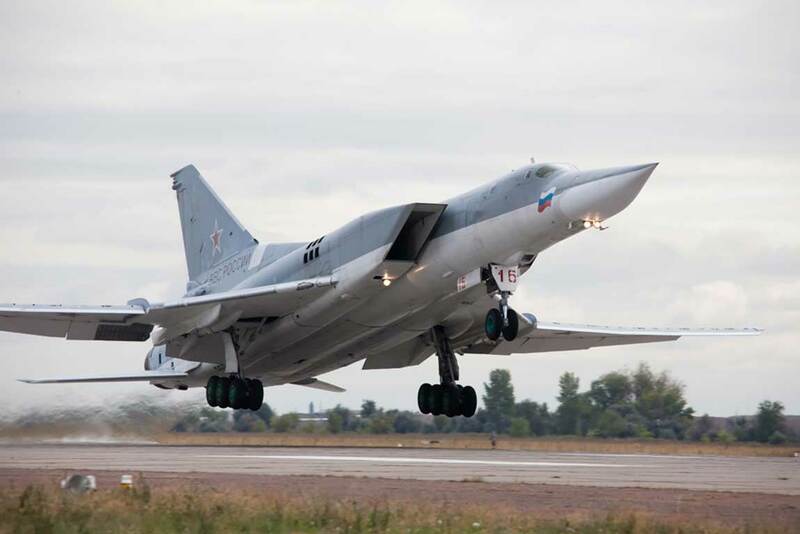 It is reported and the Tu-223M3M flight range, which has been increased to 7,000 km due to advanced air refueling system, complete updating of the aircraft electronics, improved artificial intelligence and means for electronic warfare. However, the issue of the aircraft production remains. According to the Russian online newspaper Vzglyad, Russia will need significant numbers of the bomber in question, to be called a “hit” on a U.S. Navy group “successful.” Until now, there is no information on the exact number of Tu-223M3M produced, and how many of them are actually in service at the moment. According to Vzglyad, its mass production is still mastered as a process that suggests it is still not in service with the Russian Air Force. Years ago, the Russian Defence Ministry announced the start of the modernization and production of the aircraft by the end of 2019, but these plans have the real opportunity to be postponed for the coming years.